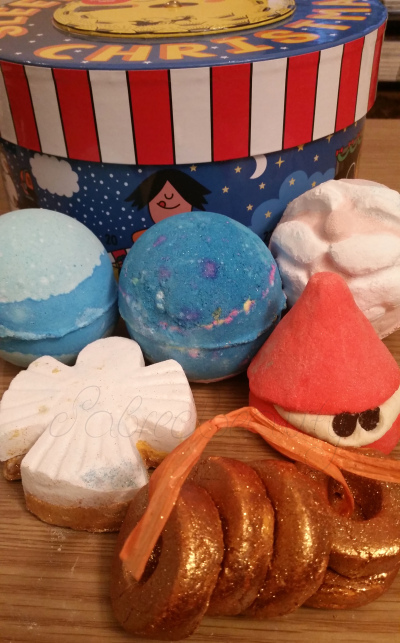 Christmas at Lush is my favourite time of year. 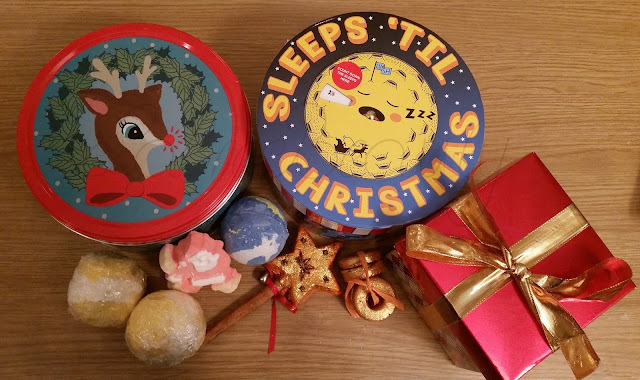 Easter is a close second, but Lush takes Christmas very seriously, and this brings an amazing range of products, glorious scents, and most importantly: the Boxing Day sale. 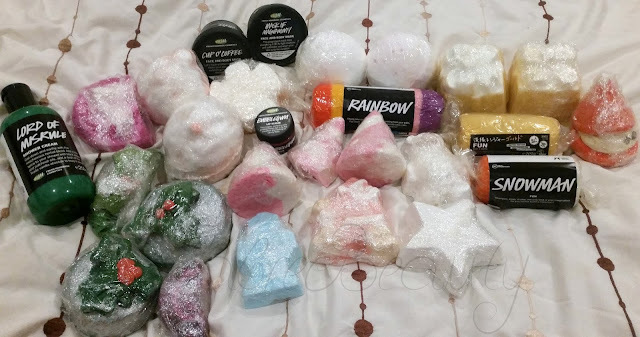 I spend a lot of money at Lush anyway, and they only have one sale a year, so I am not ashamed even a bit that I was really excited for the Boxing Day sale. 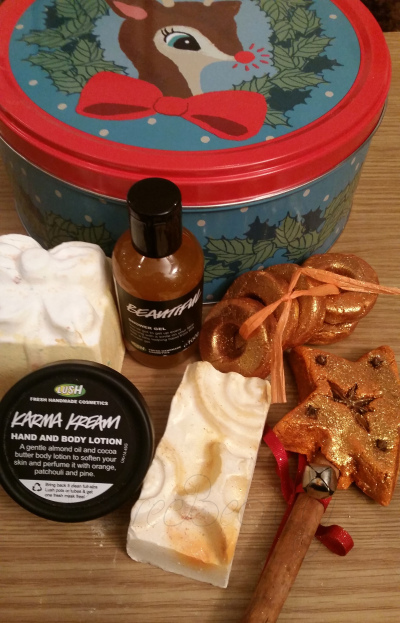 I got a lot of bath stuff for Christmas, so there really should be a little shame. Michala and I made a list of things we wanted, woke up super early after a night of heavy Christmas drinking, and got ourselves ready. Around 9.30am, things started showing up on the website but, as I'm sure anyone that eventually bought anything from Lush on Boxing Day knows, no-one could buy anything anyway so it didn't really matter. A lot of stuff that I expected to be in the sale online wasn't (Celebrate body lotion, as a prime example), so I missed out on some things I wanted, which was a little disappointing. That didn't stop me anyway, and I ended up spending an obscene amount of money, and I now have an abundance of bathing products. Also definitely doesn't contain Five Gold Rings - I don't know why I put that there! It's Christmas Deer was one of my gambles, because apart from Golden Wonder, I've never used anything from this set before. The Magic of Christmas was brand new for 2015 and is my favourite in terms of design. It's reusable, great value for money and smells of orange with a hint of cinnamon. I've never had a reusable bubble bar before, so I'm pretty excited for this. Merry Christmas was a set I had my eye on after Lord of Misrule unceremoniously (because I wasn't paying any attention) disappeared from stores before I'd had a chance to stock up. I'm saving LoM for a special occasion. Peeping Santa is a new one for me too, and something I wouldn't have thought I'd like, but the strawberry smell is too much for me to resist. Honestly, the only reason I bought Sleeps 'til Christmas was for the cute box. When I opened the set, literally everything was covered in dust from Intergalactic and Father Christmas was missing part of his skull. Intergalactic smells amazing, but that isn't really the point. The Yog Nogs arrived all smashed (Michala kindly cling filmed them for me), which was super disappointing as I was looking forward to these the most. Also, apparently ordering a bunch of stuff online wasn't enough, because I sent my long suffering (and pretty) boyfriend into the Liverpool store on Sunday while I was in work, which is where he picked up the Holly Golightlys, and So Whites as they weren't on the website. Plus, BECAUSE WE HAVE NO SELF CONTROL, Michala and I called in to the Liverpool store on Monday and I picked up Gold Fun, another So White, Santa Baby and Candy Mountain. Now I'm going to write this for all of you to witness. With the exception of face cleanser and shampoo that I am about to run out of, I am not buying any more bathing products until at least March. SCOLD ME IF YOU MUST. 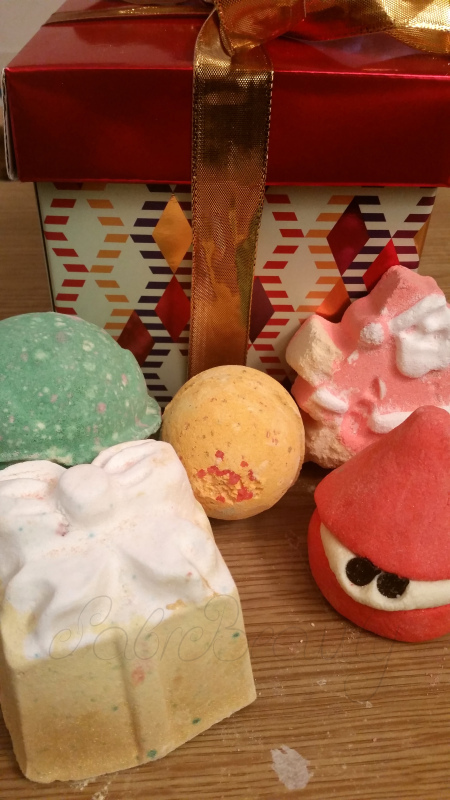 If you liked this, you'll love VIP Lush Event: Halloween Launch and Spa Tour.